It’s the kind of extraordinary musical event that happens once in a lifetime: quintessential singer/songwriter Paul Simon got together with iconic jazzman, composer and music educator Wynton Marsalis for a very special three nights of live performances at the Jazz at Lincoln Center in New York City. The event featured Simon and Marsalis performing all-new orchestrations of Simon’s songs with the Jazz at Lincoln Center Orchestra and special guest Aaron Neville. 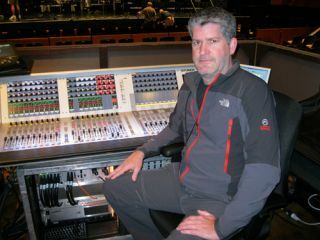 HARMAN’s Studer® Vista 5 and Soundcraft® Vi6 digital consoles were brought in to handle the considerable mixing requirements for the concert.